Day 15 of 100 Things to do on Sanibel & Captiva takes us to Sanibel Chiropractic for an adjustment and a HydroMassage. The company is owned by husband and wife Chiropractors, Greg and Jaclyn Walsh which have brought some awesome new techniques to the island. You can find Sanibel Chiropractic in their new location in the Lime Tree Center in the bright green building. I had been having intense lower back pains for a few days. I even had a massage to try to relieve the pain and the masseuse recommended that I see a Chiropractor. I was so glad I did! I arrived at Sanibel Chiropractics new beautiful offices. I was able to make a last minute appointment, but be sure to call ahead during season because they do get busy. I guess tourists get aches and pains from traveling and sleeping in different beds. I wish I knew what I did to put me in so much pain. 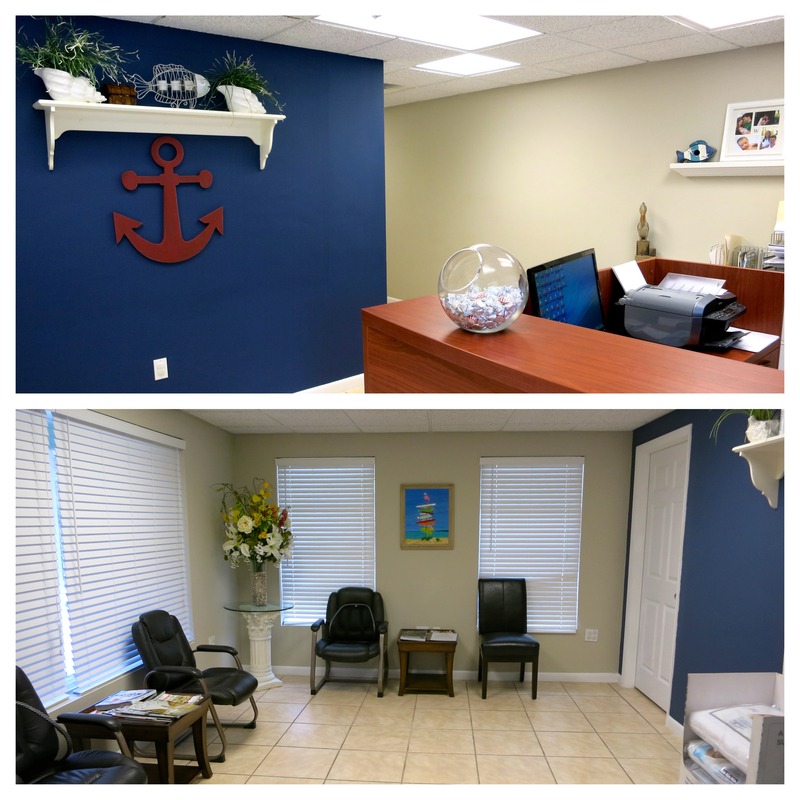 Walking into Sanibel Chiropractic, I noticed a cute nautical theme in the decor. The offices are immaculately clean and organized. It just took a couple minutes for Greg to finish up with a patient and then it was my turn. After discussing with Greg Walsh where I have been feeling the pains and when it started, I was lowered face first onto the table. My spine and pelvis was then examined to find everything that was out of allignment. He was able to use his tool to gently move everything back into place. There is no pain and no harsh movements during this so I would recommend his adjustments to anyone at any age. After I was finished getting adjusted at Sanibel Chiropractic, I got a HydroMassage. I layed on the bed and water pulsates along my back and body. It felt amazing! When I was all done, I felt like a new woman! The intense pain that I had been having was almost completely gone and as the day went one it completely went away! Next time I won't wait so long after feeling pain to go into Sanibel Chiropractic for an adjustment! For more information be sure to check out the Sanibel Chiropractic website as well as the Sanibel Chiropractic Facebook page.